Nimble: It’s an adjective that I use on a regular basis to describe Induron. We can and have responded to customer requests quicker and more effectively than others who must go through multiple layers of approval prior to a response. Plus, our size enables us to launch reliable products to the market more efficiently. Though I sometimes feel like a mouse running amongst a heard of elephants as we compete with some of the behemoths that dominate our marketplace, I realize that the maneuverability of that little guy is a serious asset. One of Induron’s core values is innovation. Through effective internal communication, we can place customer requests into the hands of our technical department faster than most. When I say, ‘effective internal communication,’ I really mean walking over to Mike’s office (Induron’s Production Manager) to talk face to face. As sales manager, I am constantly in communication with our direct sales team located across the country (and Canada too!). When a salesman learns of a customer need, has ideas for a new product or suggestions for product improvements, he has easy access to the guys that can make it happen. For instance, I fondly remember interviewing a potential salesman several years ago that we eventually hired in the mid-west. During the interview, I asked if there was anything that Induron needed to add to our 3-ring product catalog for him to successfully sell our material. Without a pause, he said “a 100% solids self-leveling epoxy floor system.” Eleven months later, we successfully completed our first PermaTuff SL floor project at one of the industry leaders in the pharmaceutical industry’s main facility. 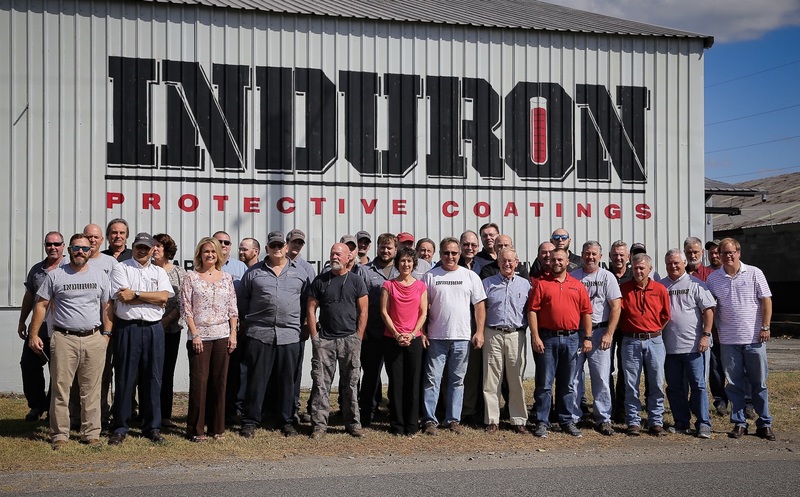 Not all Induron products go from concept to project completion this fast, but we do have a proven track record and a culture that empowers success.